With Labor Day and Rosh Hashana this week, our kitchen renovation has been on hold, although deliveries did come in. I received all of our appliances on Wednesday. I wanted to do a little dance around my 6 burner stove and 12″ grill. The exhaust is massive, like a bathtub! The fridge didn’t fit through our door so the refrigerator doors had to be removed and put back on. Today, all of our cabinetry will be delivered. We’re close to the finish line! Until then, we’re still at my parent’s house where mom is dutifully making dishes for me. I decided on a noodle dish and my mom suggested Mushroom Lo Mein, a simple and light dish she often throws together for lunch when she’s by herself. 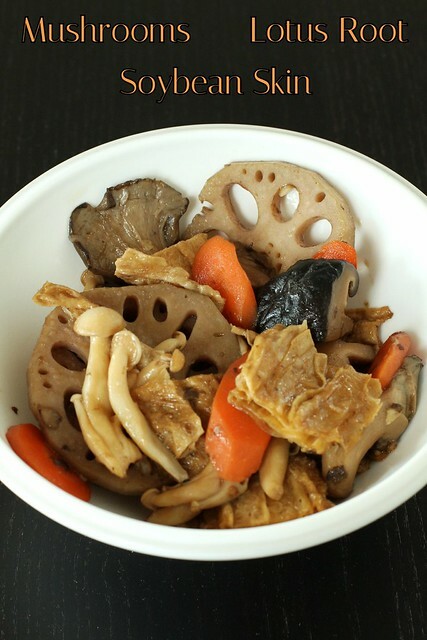 It’s vegetarian, full of mushroom flavor, and a variety of textures. My mom used celery this time but sometimes uses napa cabbage, whichever one she has on hand. The flavor is different but equally delicious. 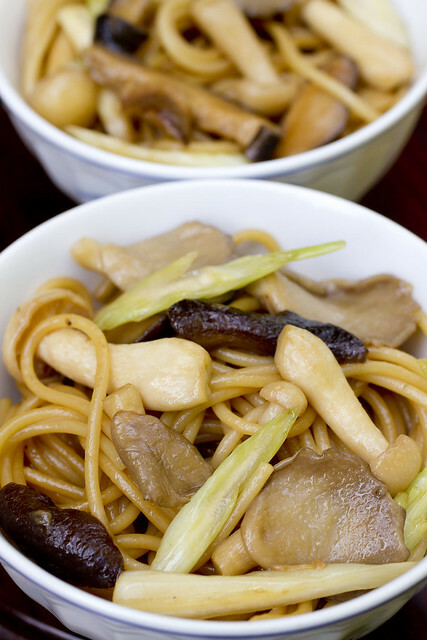 You might remember seeing this dish, a glorious dish of mushrooms, we just had at Jade Asian Restaurant. I loved it so much, I wanted to replicate it. Coincidentally, my mom was thinking the same thing and had just made the dish for New Year’s. She told me that the key was using Vegetarian Oyster Sauce, which is actually made from mushroom flavoring. She recommends the Wan Ja Shan brand. There are some notable ingredients in this dish. 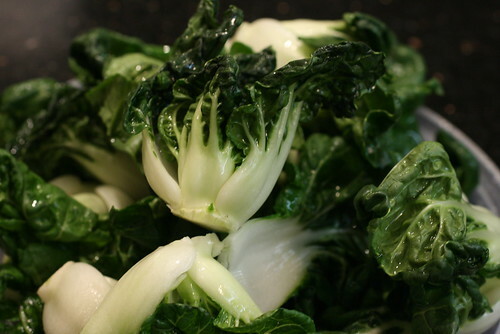 First, I used a vegetable that was labeled baby bok choy at the market but it’s not, here’s a pic since I don’t know the name.